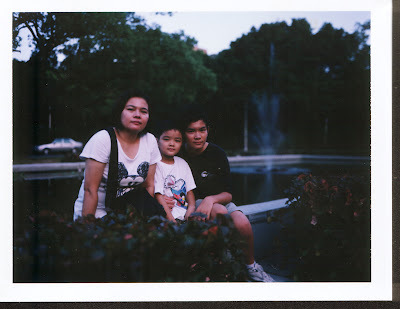 Never use instant film, today I brought my family to Taiwan University campus, for a after-meal walk, ate Korean BBQ, eat all you can, too full to do other things. So we sat by a little pond, and the sun disappeared 10 minutes ago, I wanna try my Byron and PA-45 holder, to see if they work well or not, asking my wife and two kids look at me, I quickly spot-metered and got a 5.6 at 1/30". 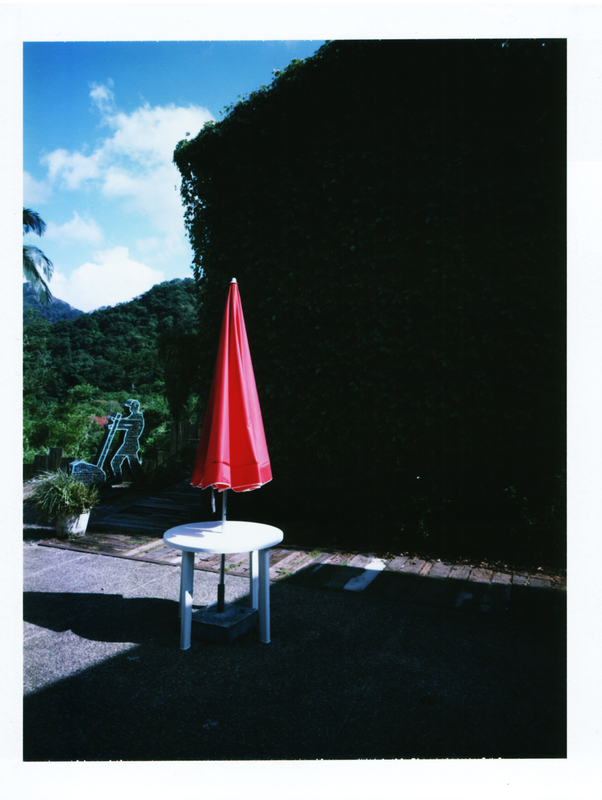 With Ysarex 127mm lens, I focused and shoot within 30 seconds, and then found that white tab that suppose to be pull is not there! where is it? I felt upset, and quickly push back the slides, telling my wife and sons that I will solve it when home, they all looking for old dad do the magic- picture with no time to wait!......sorry kids. Back home, I searched user manual of PA-45, finally found it in FUJIFILM website, God blessed! 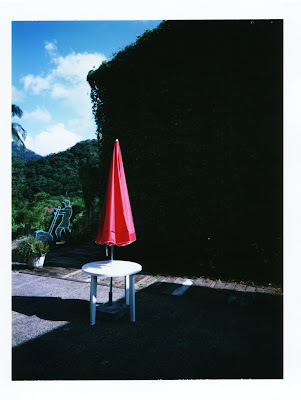 It's hot here, about 35C, so I pulled the film and waited about 1 minute, there it comes! 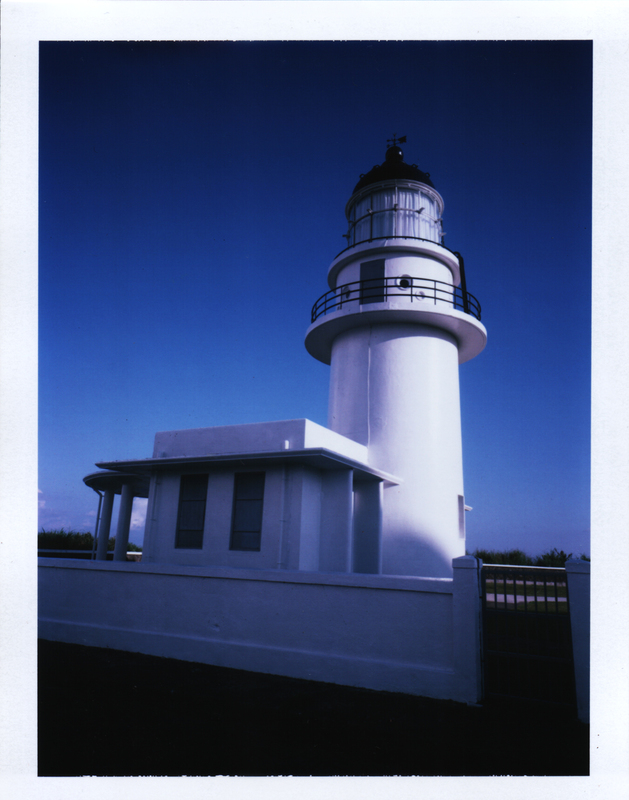 My first instant film! Looks blueish all over, but I think it is because of sunset. Anyway, now I know how to shoot instant film, will come more!!!! 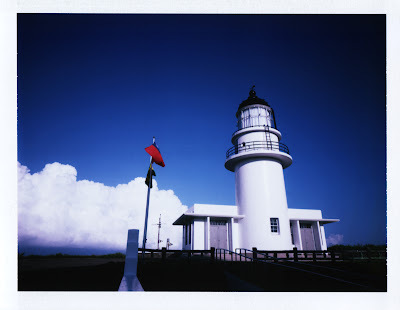 Today I went seashore by motorbike, lovely day, with Byron and Fuji holder.